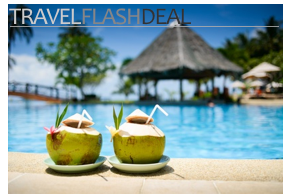 The Alux Restaurant & Lounge is arguably the coolest restaurant and bar in Playa del Carmen. It is unarguably its most unusual and photogenic. The caverns that house the Alux could be a tourist attraction in its own right, they are that large and impressive. If you go here for dinner arrive when the Alux opens at 6pm. That way you can pick out one of the “natural” tables that formed by the cavern itself. 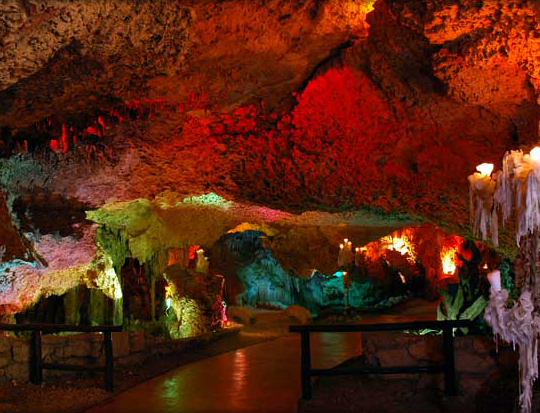 And if the place isn’t too busy (and it usually isn’t early in the evening) you might be lucky enough to have a waiter who’s willing to play tour guide and show you around the caverns. Around 9pm the Alux turns into a full-fledged drinking spot. 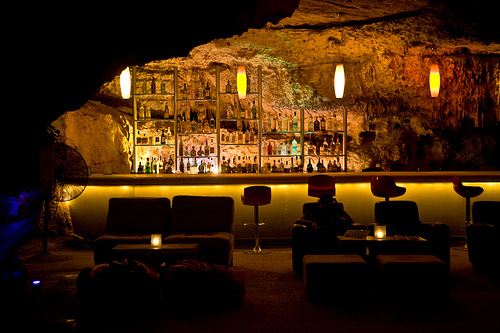 If you are looking to be social there’s a cool bar. For some alone time with a significant other Alux has several cushioned floor areas tucked away into semi-dark nooks around the caverns. There’s no official dance floor but the live music sometimes inspires patrons to create their own. 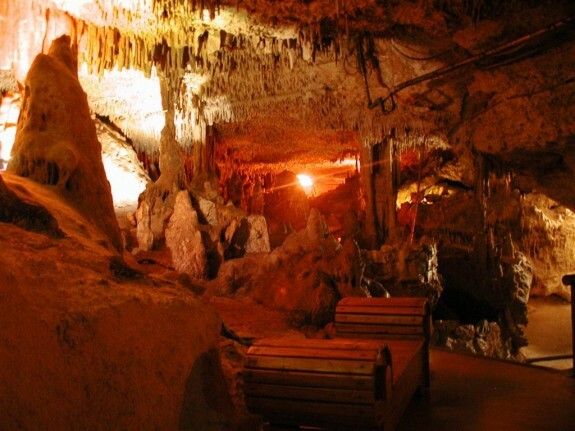 If you are wondering, the Alux is not at all cold or musty inside—the caverns are close enough to the surface keep the temperature in the cavern here naturally pleasant. 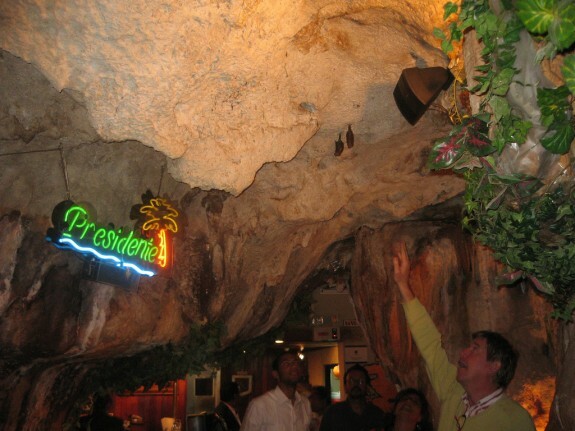 Standing on Avenida Mirador del Sur in the middle of the Dominican capital you’d never guess you could descend down a narrow spiral staircase and end up in a cavern, much less a cavern that is home to fun and happening bar and restaurant. Yet that’s what you’ll find at El Mesón de la Cava. 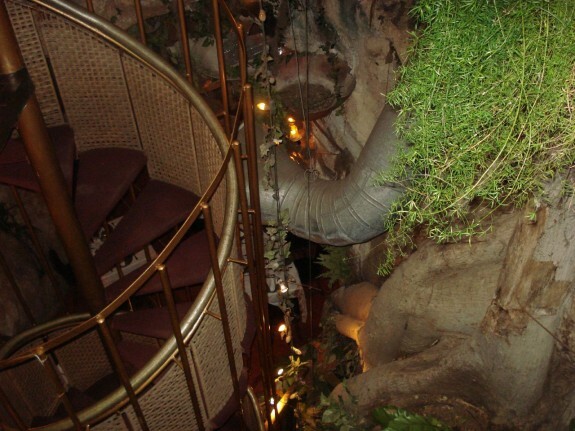 This restaurant’s dramatic underground setting does come with a downside. (Pun. Sorry.) 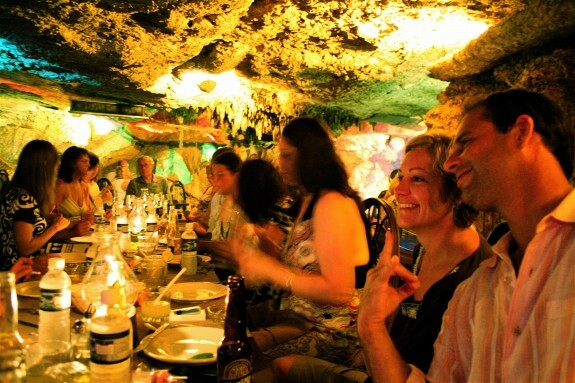 The cavern is so interesting that you might not notice that the food here is truly outstanding. El Mesón de la Cava could have the best eats in the whole of Santo Domingo. We suggest ordering the grilled salmon in maple and ginger sauce (cooked and served on a cedar plank) along with a spiced rum cocktail. Just don’t have too many cocktails—at some point you’ll have to climb those narrow stairs back up to the surface. As mentioned in the article, a cave and a cavern aren’t the same thing. 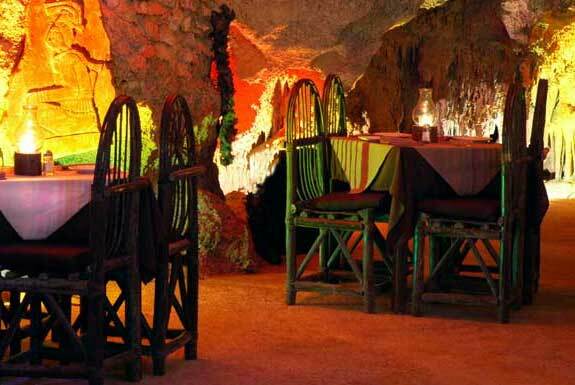 The only other place we know of that could qualify as a cavern restaurant is the eating place at the Carlsbad caverns in New Mexico, USA. But that’s a shop that sells snacks rather than a sit-down restaurant. 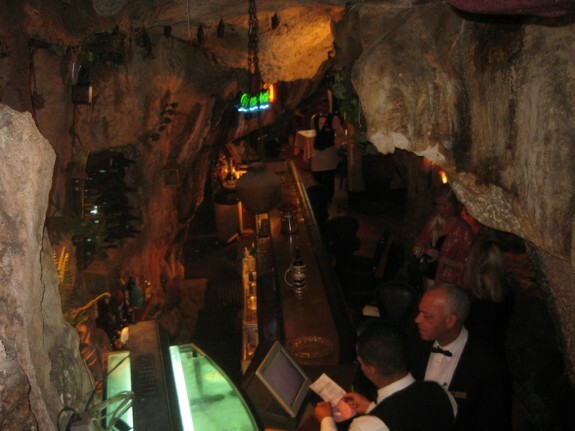 If you (or anyone else) knows of another cavern restaurant, we’d love to hear about it in a comment.